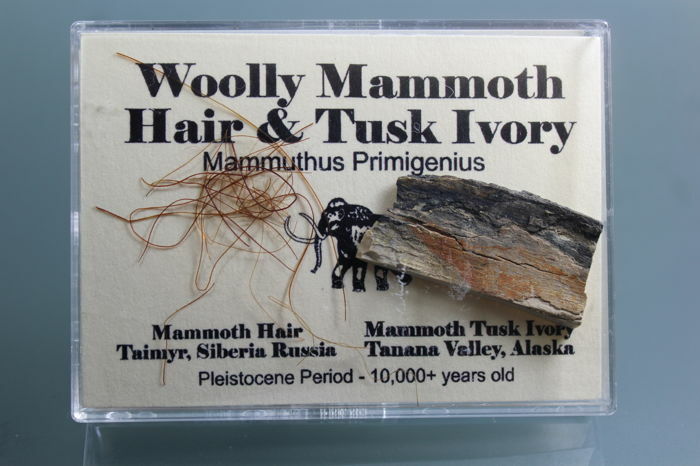 Woolly Mammoth Hair & Tusk Ivory from Siberia and Alaska.The Woolly Mammoth Hair lived from northern Europe through Siberia and into alaska and Canadaduring the pleistocene period over 10,000 years ago.Remains of the mammoths have been discovered across these regions usually uncovered by natural erosion or by goldminers excavaing into the earth. 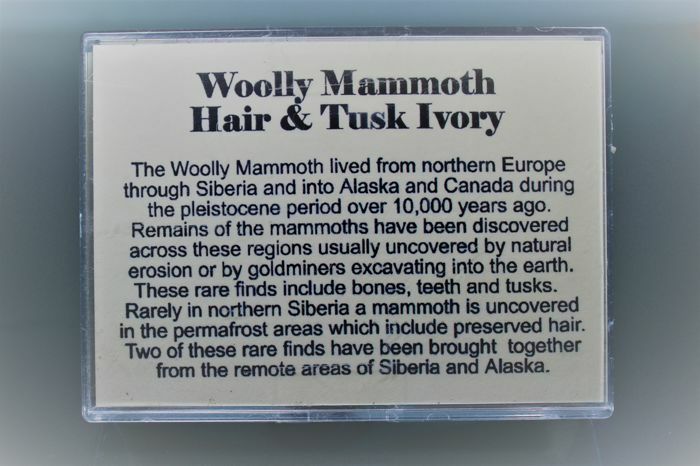 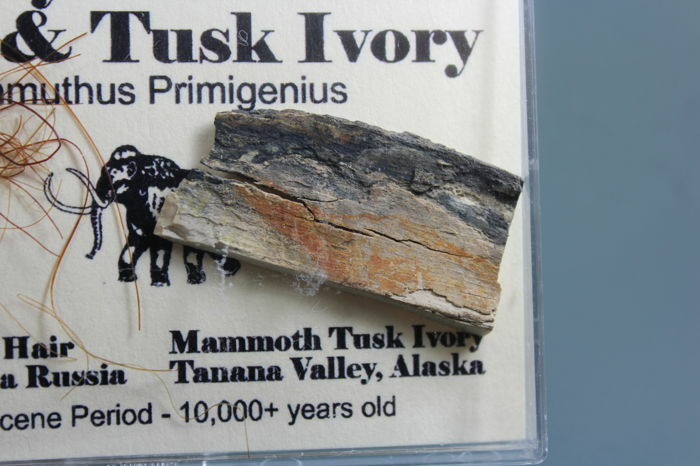 These rare finds include bones, theet and tusks.Rarely in northern Siberia a mammoth is uncovered in the permafrost areas which include preservedhair.Two of these rare finds have been brought together from the remote areas of Siberia and Alaska. 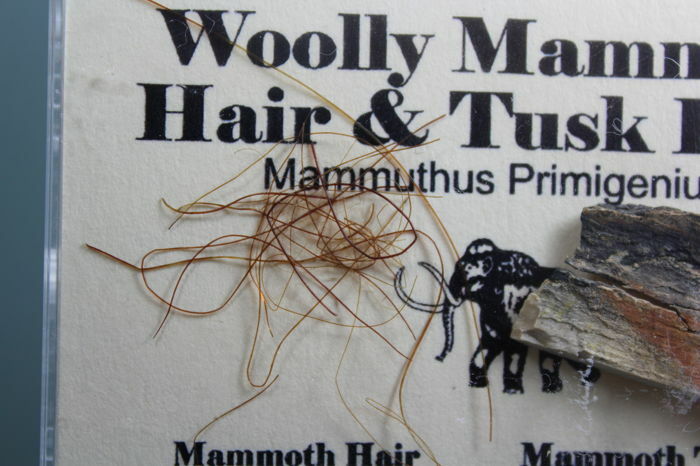 Box sized 9,5 x7,8 cm. Pode levantar este lote em mão do vendedor: Abrera (Barcelona), Espanha.